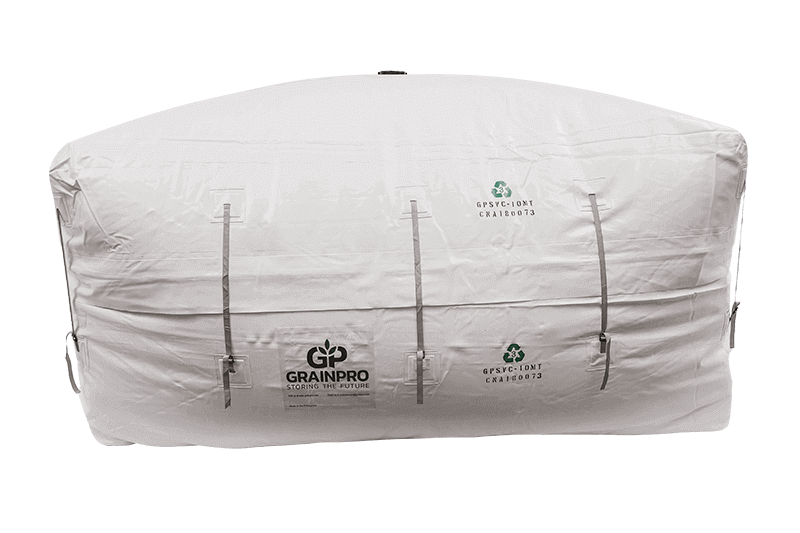 The GrainPro Cocoon is a flood-protected and Ultra-Hermetic™ storage solution designed to safely store dry agricultural commodities without the need for chemicals. 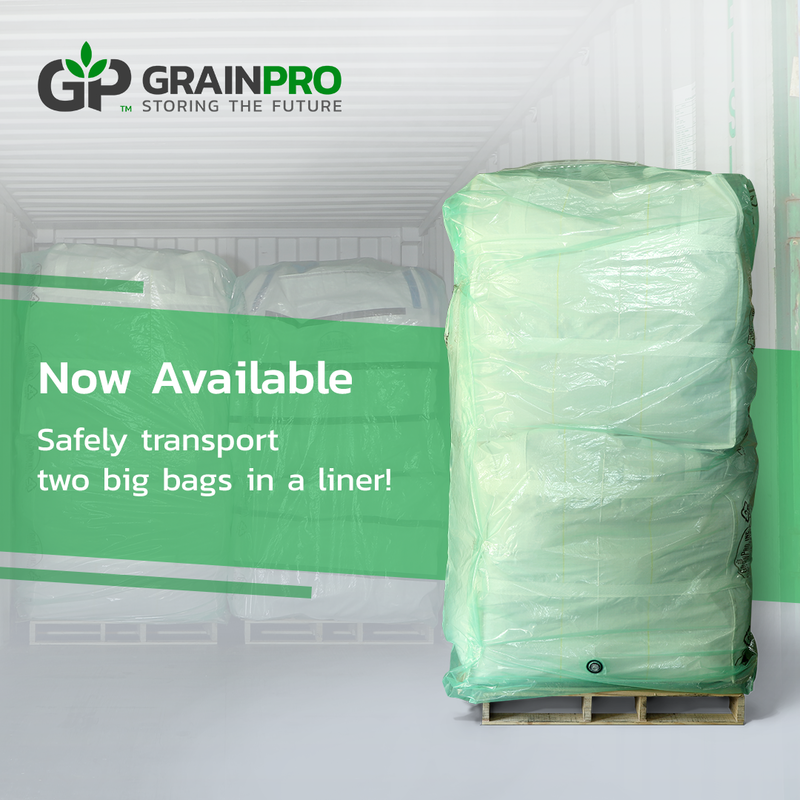 Made of flexible UV-resistant Polyvinyl Chloride, the GrainPro Cocoon guards against rodent attacks and prevents the exchange of air and moisture. 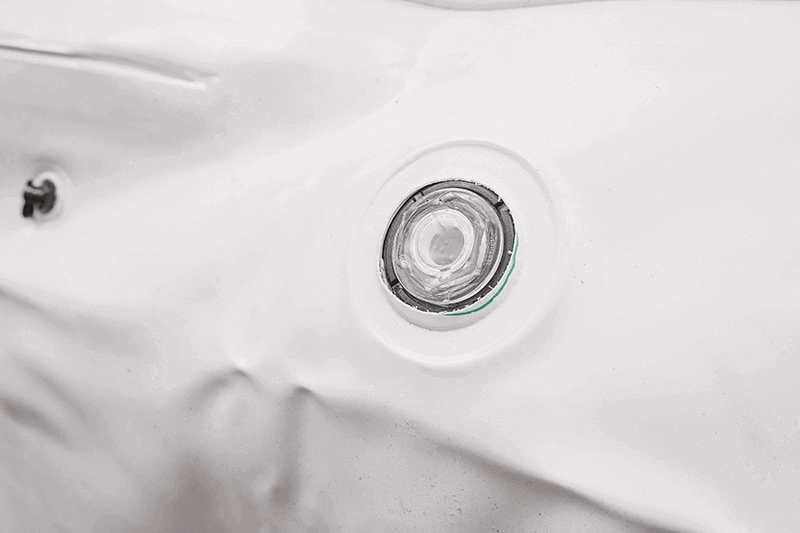 It can also protect products from being damaged by floods below its zipper line. 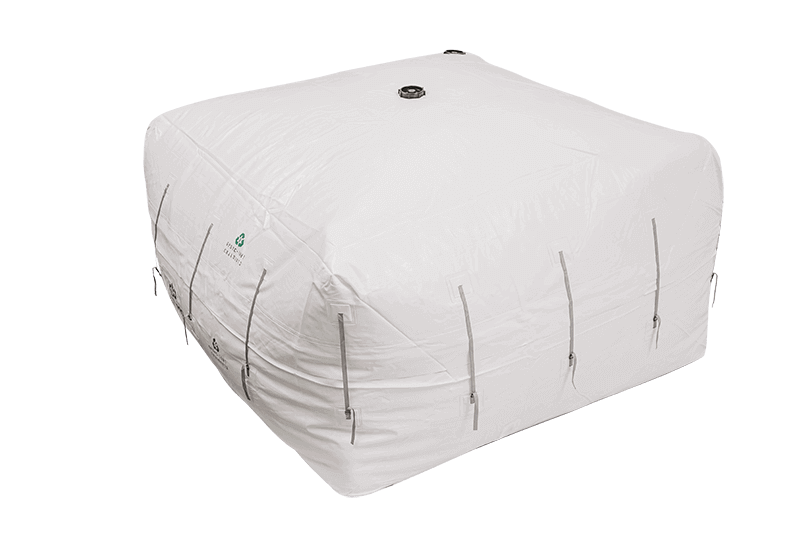 This solution has low permeability to air and moisture, enabling chemical-free storage and long-term preservation. Additionally, users will be able to monitor internal oxygen and relative humidity levels during operation. 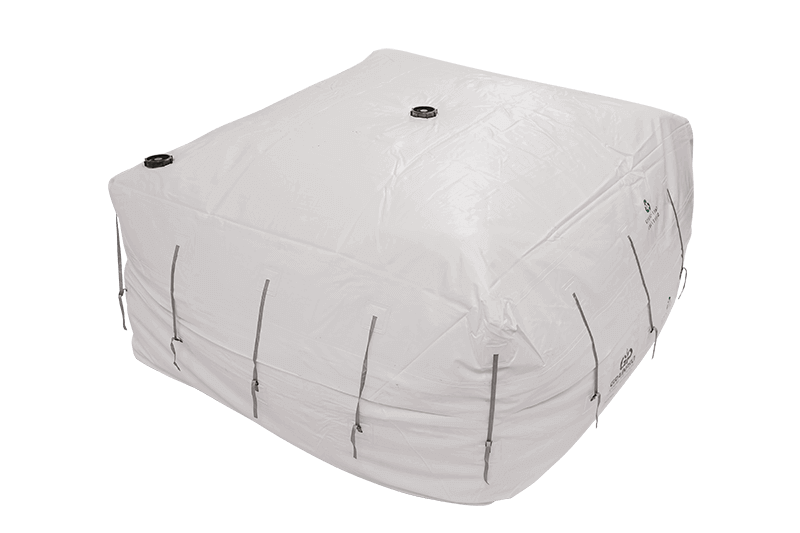 For users conducting fumigation, an optional add-on for the GrainPro Cocoon is the installation of fumigation ports. 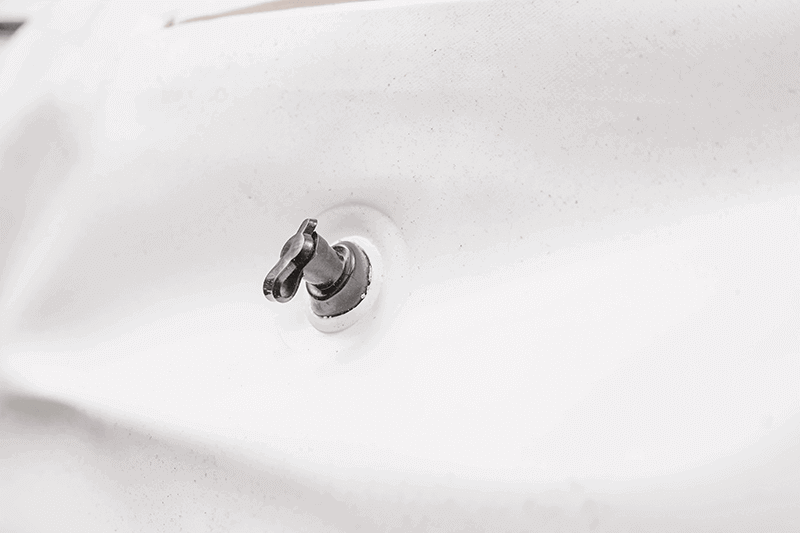 Add-on: Inlet and outlet ports are suitable for safe, organic fumigation that will protect commodities from insect infestation in an organically-acceptable procedure. Add-on: The GrainPro EcoWise system helps secure commodities by monitoring the environment inside hermetic storage units in real time. These ports are suitable for safe, organic fumigation that will protect commodities from insect infestation without the use of chemicals. 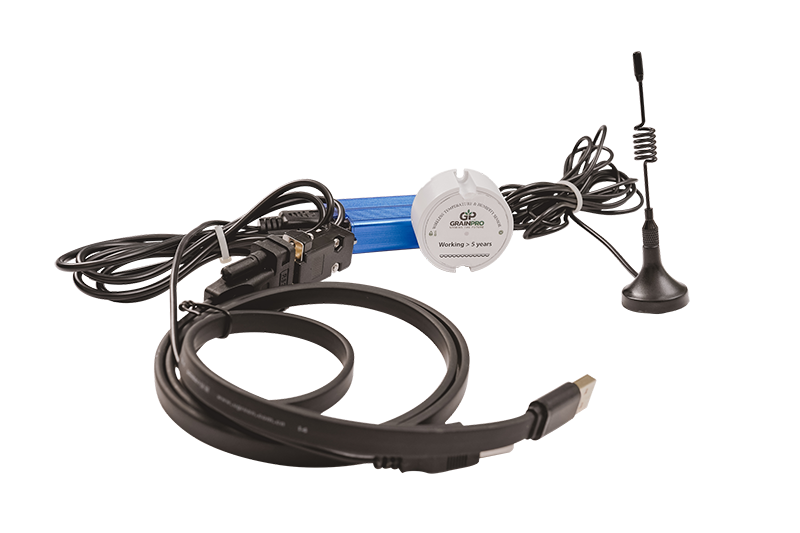 The GrainPro EcoWise sensor helps secure commodities by monitoring the environment inside hermetic storage units in real time. 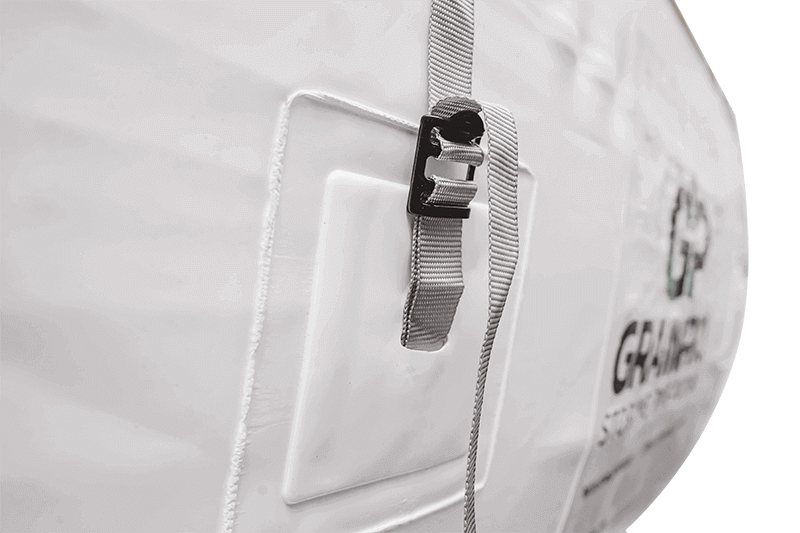 These ports are suitable for safe, organic fumigation that will protect commodities from insect infestation in an organically-acceptable procedure.